My move from Toronto to Florida — five years ago! — forced me to really apply a rule I try to follow: if you’ve been hanging onto something and never use it, sell it or give it to someone who really needs it. I’ve had to use this rule more since moving from Toronto to Tampa, as the move required me to take only what I could fit in my old car, and because I didn’t want to treat my mother’s basement in Toronto like a free storage place forever. In spite of this rule, I’ve hung on to one piece of clothing that I’ve had since 1999 and that I almost never wear. It’s a grey zippered sweatshirt, a photo of which you’ll see later on in this article. There’s nothing terribly bad about it; I like the color, but the cut’s all wrong, it’s a little too big, it has ridiculous snap-straps all over (in the photo, you can see one of them around the neck). While it’s perfectly serviceable, I don’t like it enough to keep it under normal circumstances. It would’ve ended up at the drop-off of a Goodwill or some other charity ages ago. But it remains with me, because it’s a special gift from my dad. In 1999, my former high school classmate André Fenton was doing neuroscience research at the Czech Academy of Sciences and decided that he wanted to ring in the year 2000 by throwing a big New Year’s Eve party in the nicest place that he could rent somewhere near Prague. Upon hearing that I would be staying at a castle somewhere in the central European woods in the dead of winter, Dad decided to surprise me by buying me something to keep me warm. That thing was the zippered sweatshirt, and he gave it to me just as he dropped me off at the airport to catch my flight to Amsterdam, and then Prague. I thanked him for the sweatshirt, gave him a big hug, wished him a happy new year in advance, and told him that I’d send photos that I’d take with my still-newish digital camera (1024 by 768 pixels in super-fine mode!) to mom via email (he never had an email address). Because I am a big ol’ sentimental softie, not only have I kept this sweatshirt that I don’t really like all these years, but I take it with me whenever I travel far to someplace cold, as a sort of comforting tradition. I wore it walking through the streets of Prague, while shivering on the slopes at Whistler while trying to figure out how snowboarding worked, when I was conducting mobile technology assessments in the bitter cold of Athabasca’s oil sands, and as I drove through the snow-covered hills of West Virginia on those chilly days of March 2014 as I moved to Tampa to be with Anitra. I brought it with me on our most recent trip to Toronto just after Christmas. It keeps me warm, not only in the physical sense, but also in the way that it reminds me of his kindness and generosity. Me, in the “Dad sweatshirt”. Dad died thirteen years ago today. But thanks to this sweatshirt that I normally wouldn’t be all that crazy about, I have a little bit of him that I can take with me when I’m cold and far from home. That’s why I’ll never part with it. In case you were wondering, I DJ’d at Clark Hall Pub, a pub run by Crazy Go Nuts University’s Engineering Society, from 1989 to 1994. Thanks to Luis Rita for the find! Also, there’s a backup clown named “Alabama”. This was yesterday’s daily cartoon on the New Yorker site. It was made by Julia Suits. Thanks to Jeannie Cool for the find! Someone at the office brought leftovers from a Daytona 500-themed party. Found via Reddit. Click the photo to see it at full size. 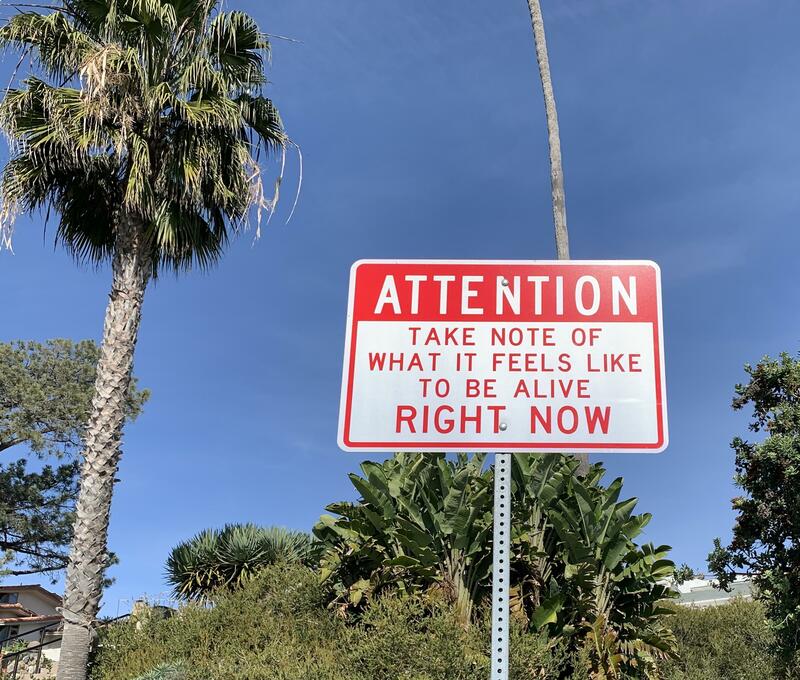 We need more signs like this. Want an even larger version of this photo? It’s here. For National Siblings Day, here’s my sister, Dr. Eileen deVilla, Medical Officer of Health for the City of Toronto! Brexit finally gets the mascot it deserves!